This time last year, investors in the oil and gas industry were turning tail and running. It makes sense. After all, in February of last year, oil was selling for $27 a barrel, and no one can make a profit from that, so most investors bailed. 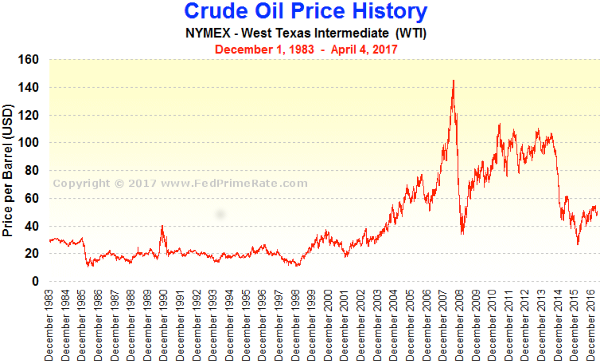 The big problem was that oil and gas companies became overly invested when oil was selling for well over $100 a barrel in 2014. And when it lost more than 75% of its value, a lot of companies went bankrupt. The real question is when oil prices drop again (and they always do), how do you still make a profit from oil? You see, no matter what the prices are, we need oil in order to survive. We use it for heating, cooking, and as fuel for transportation. And that’s where oil refineries come in. The crude oil that’s extracted all has to go through refineries in order to get turned into the types we use daily. Most refineries focus on producing transportation fuels. 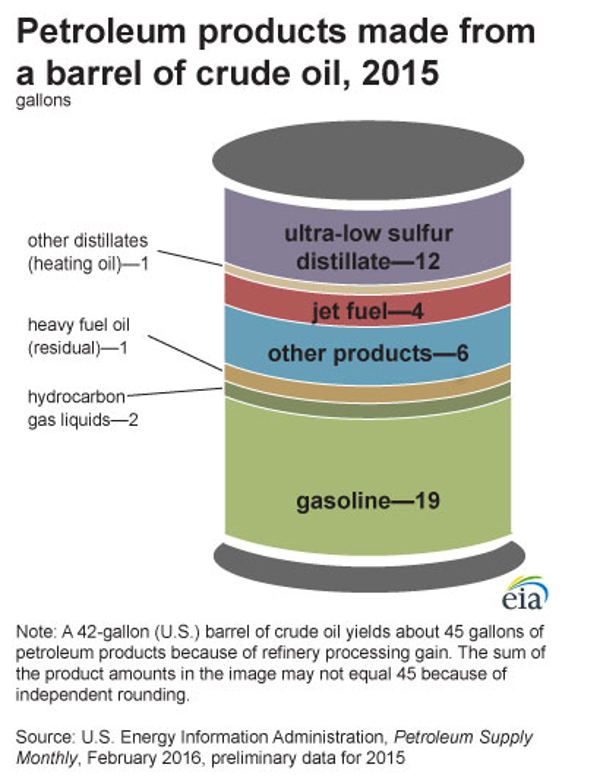 On average, U.S. refineries produce about 19 gallons of motor gasoline, 12 gallons of ultra-low sulfur distillate fuel, most of which is sold as diesel fuel, and 4 gallons of jet fuel from a 42 gallon barrel of crude oil. The good news is that no matter what condition the oil market is in, refiners are always going to be necessary because we use petroleum or crude oil for so much of our daily lives. From traditionally known uses like diesel fuel and motor oil to more unusual items like ink and ballpoint pens, we need petroleum to live in the 21st century, and oil refineries provide it for us. 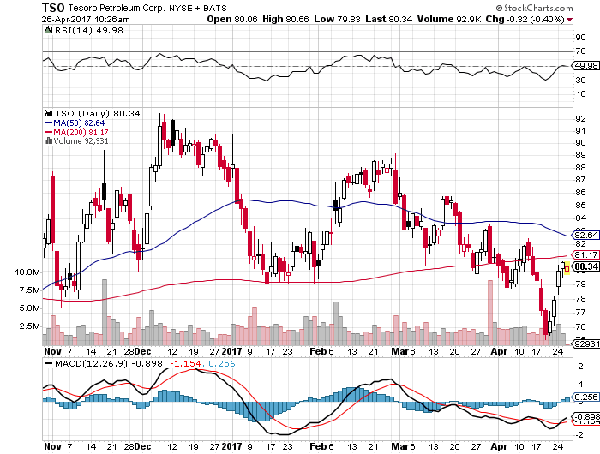 Phillips 66 is a good pick for those looking to get into oil refinery investing. PSX is a company with a solid historical standing, good management, and a market cap of over $41 billion. It is an energy manufacturing and logistics company that refines both natural gas and crude oil. Its dividend yield is currently 3.24%, and its end-of-year report showed an operating cash flow of $3 billion with multiple new projects (restructuring DCP Midstream and starting Freeport LPG Export Terminal) and an increase in its quarterly dividend. With over 14 refineries in Europe and the U.S., PSX has a wide reach that allows it to target more than just the U.S. market. 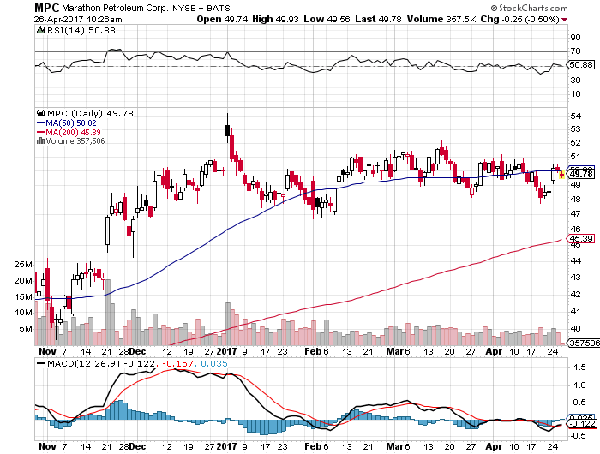 Even amidst the ups and downs of the oil market over the past several years, Marathon Petroleum Corporation has been on a fairly steady upward climb. The company refines, markets, sells, and transports petroleum all over the U.S. With interests or ownership in about 8,400 miles of pipelines, Marathon is in an ideal place to make a profit. 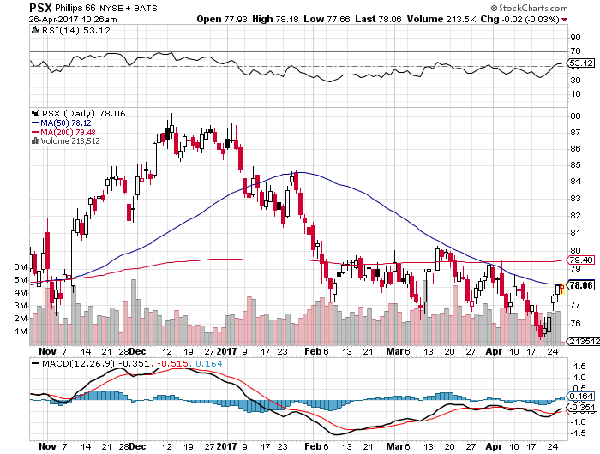 Its fourth-quarter report showed earnings of $227 million with total year earnings of $1.17 billion. Its refining and marketing segment specifically showed an increase with a report of income of $219 million in the fourth quarter of 2016, versus $179 million in 2015. The company's dividend yield is 2.8% with future plans to invest its capital in organic growth and maintenance, specifically with a focus on shoring up its natural gas and LNG infrastructure for Marcellus Shale. Tesoro is a petroleum refiner, logistics, and marketing company. Its refining segment refines crude oil into gasoline, jet fuel, and diesel fuel along with LPG and heavy fuels. The company sells its products to utilities, airlines, and industrial companies within the U.S.
Tesoro owns seven different refineries. And its fourth-quarter report showed that its refining segment income from 2015 to 2016 more than tripled from $12 million to $43 million with a dividend yield of 2.74%.